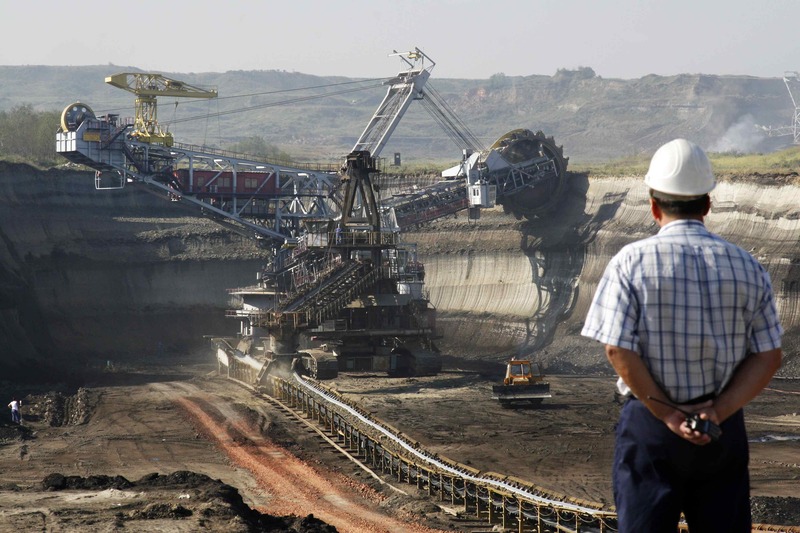 Buy Prepackaged & Customized Mining Industry Email Lists, Mining Industry Email Addresses, Database and Mining Industry Mailing List by SIC Code That Let You Reach Targeted Markets In the USA, UK, and Canada Europe & Australia! MINING INDUSTRY USERS, CFO, CMO, COO,CTO, CIO, CXO, CBO, CCO, CDO,CKO, CSO, CPO, CLO, Chairman, Vice Chairman, Managing Director, President, Vice President, Owner, Co-Owner, Co-Founder, Proprietor, Partner, Controller, Director, GMs, Mid-level Managers, Sales and Marketing Managers, Vice President, Presidents, Chairman’s, Supply Chain, Head of Operations, Attorney/Lawyers Development, Marketing Executives, Corporate Secretary, Treasurer, HR Managers, Finance Manager, IT Head, IT Director, IT Manager, VP IT, Purchasing Manager, Procurement Manager, Administration, R & D Executives and many more……!!! 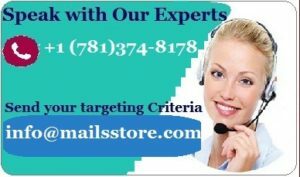 Mails STORE is one stop shop where you can find prepackaged and customized mailing lists that can directly connect you with key decision makers like: C- level Executives, Owners, Presidents, Chairman’s, Directors Manager Level Contacts & More. 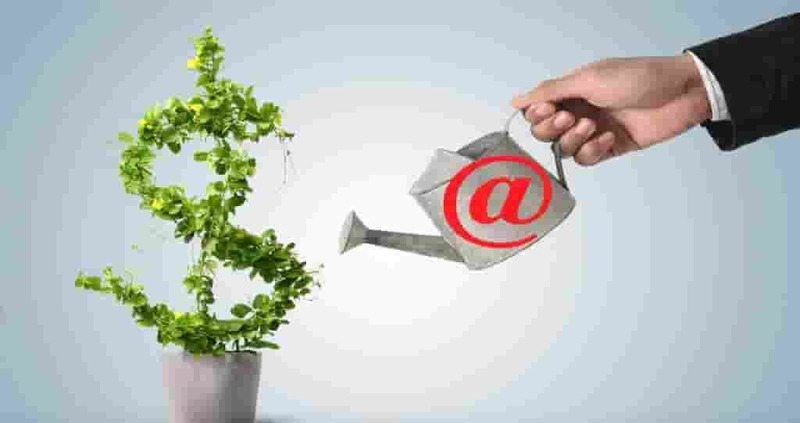 We have always prepared precise and relevant mailing lists that assures high deliver ability rate for our customers. Reach over 150,000 top level executives like CEO, CFO, CTO, COO, CIO, CMO, CIO, CSO, Owners, Presidents, Chairman’s, GMs, Vice Presidents, Directors, Engineer, Aircraft Mechanic, Captains, First Officer and Mangers level contacts. 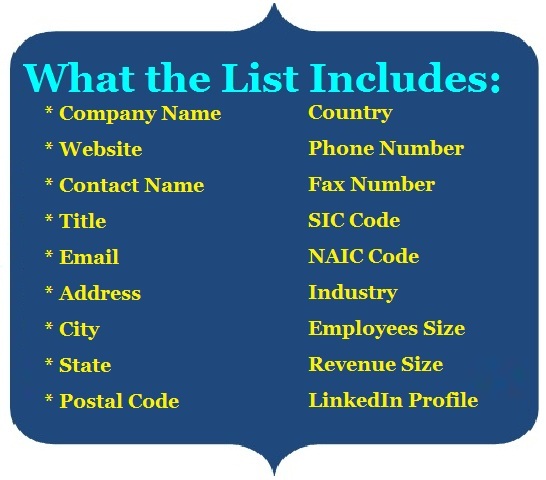 We offer Enhanced Mining Industry Email Database Contact Info that includes Company Name, Contact Name, First Name, Last Name, Contact Title, Street Address, City, State, Zip, Country, Contact Phone Number, Fax Number, Employee Size, Sales, Company Web Address, SIC Code, NAICS Code, Industry and more.